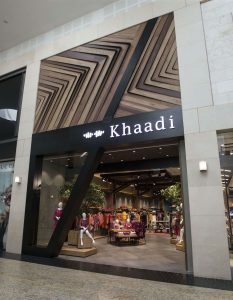 Hammerson announces that Khaadi, the international clothing brand, has opened its debut Scottish store at Silverburn, Glasgow. The 2,700 sq ft store positioned next to Flannels and schuh is the brands first store in Scotland and the third in Hammerson’s portfolio. The interior of the new store is a fusion of design elements from East and West and is finished with natural materials which best showcases the vibrant designs of Khaadi’s clothing and accessories range. Anchored by Debenhams, Silverburn is home to over 120 retailers, including H&M and River Island. Silverburn also has an extensive leisure offer with a 14-screen Cineworld and a comprehensive line-up of 20 restaurants, as well as the recently announced addition of PureGym, set to open this early summer.